Earlier today, Daimler released an extensive amount of photos, video, and information about the new Mercedes Benz E Class Estate. The car will have a choice of five different engines when it goes on sale in November, with another six models ready for release by March 2010. Pricing will begin at $52,921 for the base level E200 CDI BlueEfficiency, with a 136 horsepower, four-cylinder engine. A $88,503 E500 will also be released with a 5.5-liter V8 engine producing up to 388 horsepower. But most exciting is the range-leading E63 AMG, powered by a massive 6.2-liter V8 petrol. The 525 horsepower car will be on sale for $136,794. 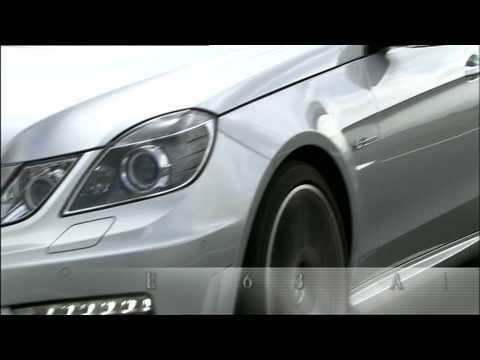 The Mercedes Benz E Class Estate will come with a wide variety of standard features. All V6 or V8 models get the 7G-Tronic automatic transmission, while four-cylinder models get a new air regulating radiator louvres to improve aerodynamics. The car has enough airbags to practically envelop all of the passengers, while front passengers are also protected by responsive head restraints. Adaptive braking, drowsiness warnings, stability control, and Thermatic climate control are all included.